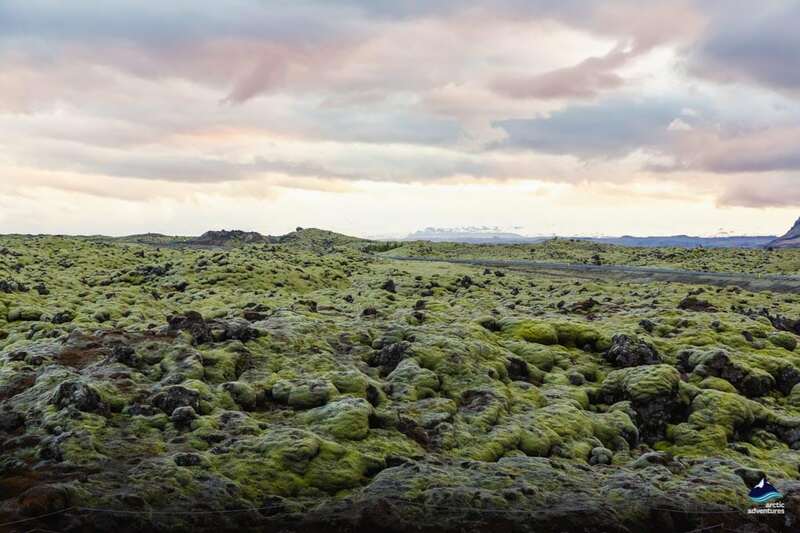 This amazing day tour from Reykjavik is full of splendid views of Iceland’s spectacular nature. 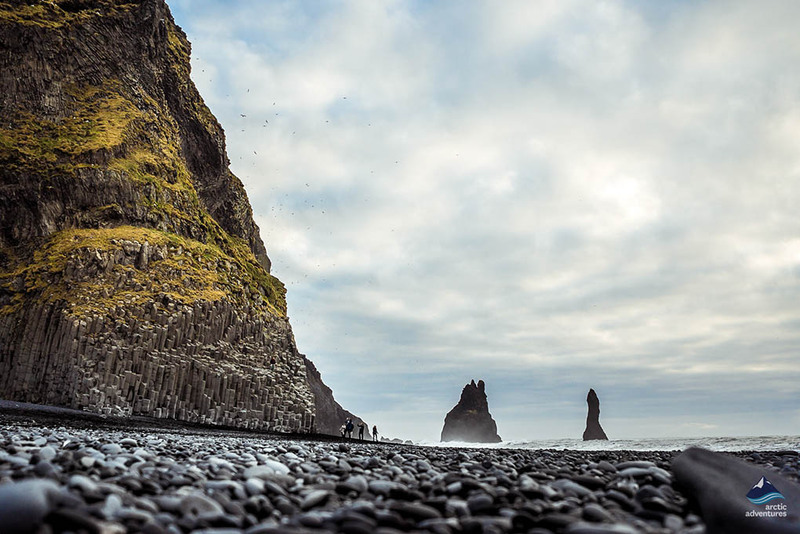 Drive along the beautiful south coast with stops at all of Iceland’s must see highlights including the stunning waterfalls Seljalandsfoss and Skógafoss. 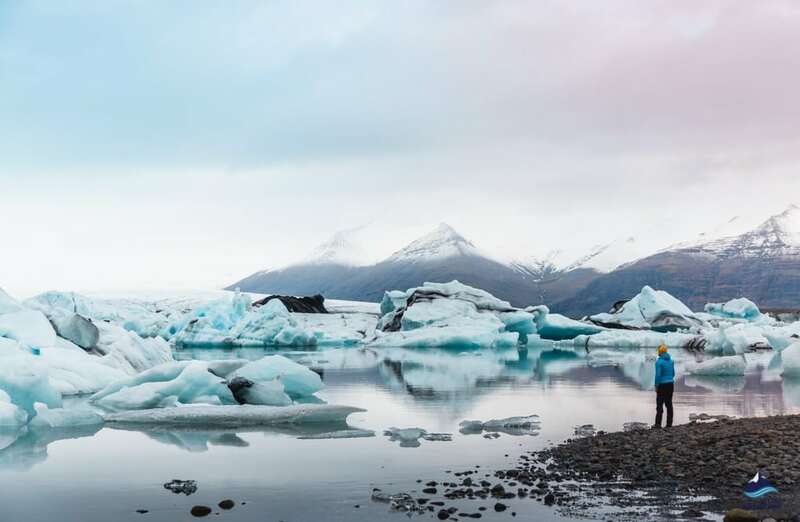 The drive brings you diverse visuals while we make our way to the beautiful Skaftafell Nature Reserve and visit the breathtaking Jokulsarlon Glacier Lagoon and Diamond Beach. Add an optional boat tour to complete your day. 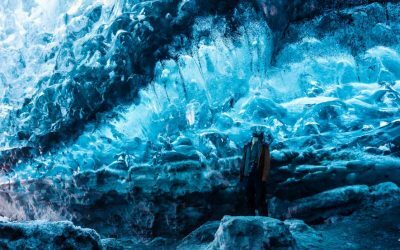 This is the ultimate way to make the most of your day in Iceland! 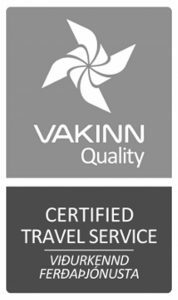 We start our day in Reykjavik but it’s also possible to be picked up on the way to Skaftafell (see pick up locations for more information). We will drive past Hellisheidi Geothermal Power plant and along the south coast. 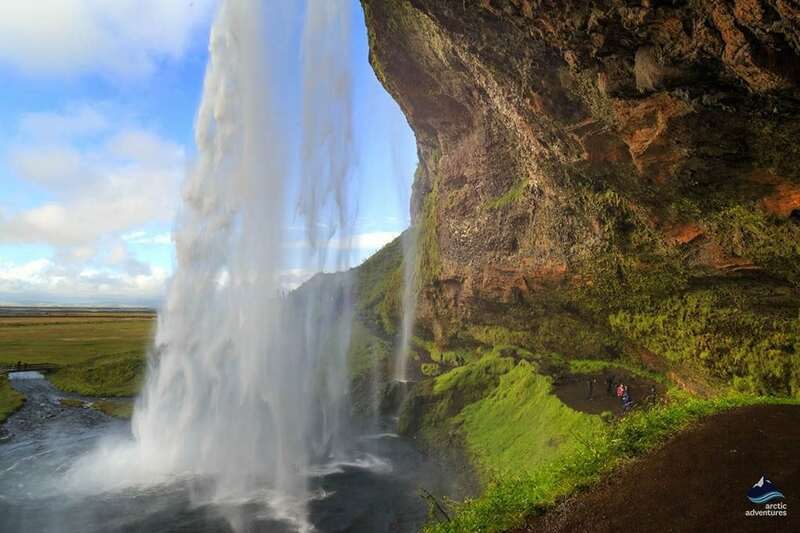 Our first stop is at the stunning and sought after Seljalandsfoss, this is the waterfall you can walk behind and the location is beautiful. 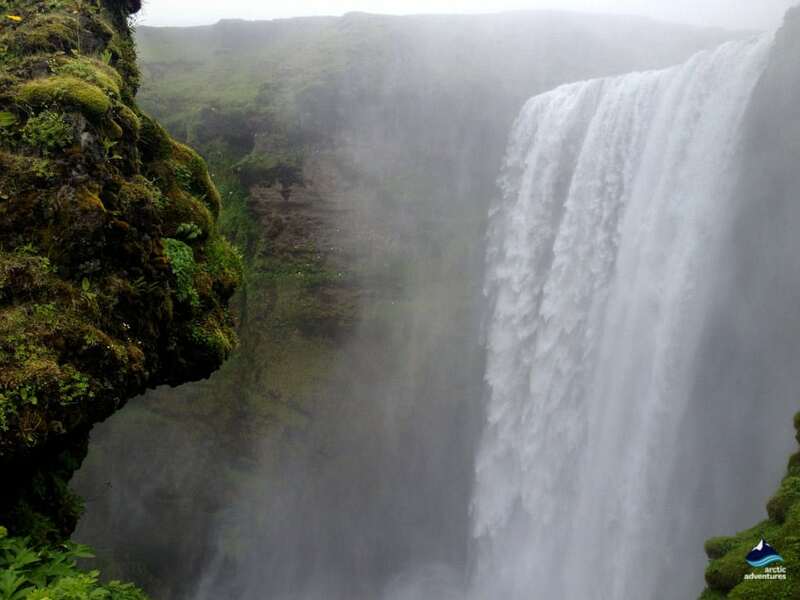 Next, we will stop at the charming area of Skógar where the powerful waterfall Skógafoss is located. The two waterfalls are both 60 meters in height but extremely different in power, flow and surrounding scenery. We recommend walking up the right side of the waterfall to see the troll face that stares at the falls. Urban legend says that the troll forgot time staring at this alluring waterfall and turned into stone when sunrise came. We will stop at the colorful village of Vík were we will have lunch at this beautiful location with views over the sea. 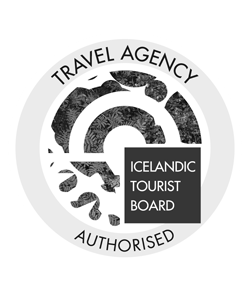 Now on to the highlight, next up is the famous Jökulsárlón glacier lagoon and the Diamond beach, only a short walk away. 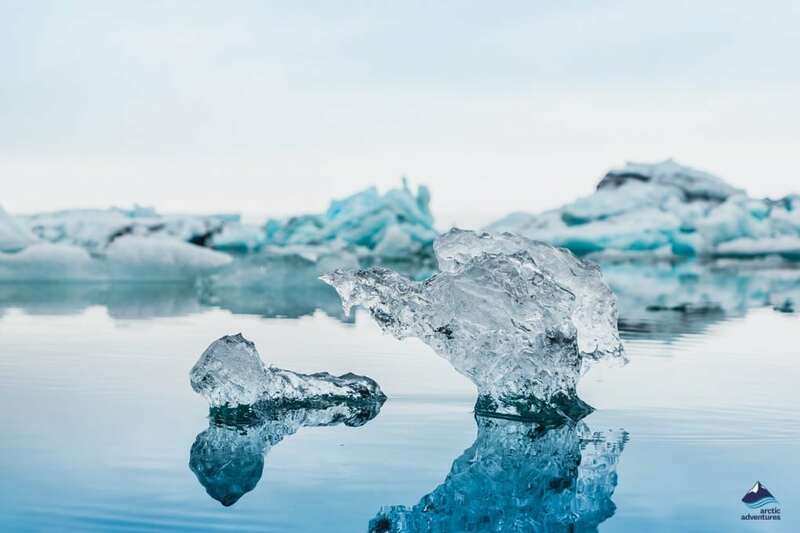 Jokulsarlon lagoon is getting to be world famous as it has been featured in Hollywood movies such as James Bond, Batman Begins, and Tomb Raider. 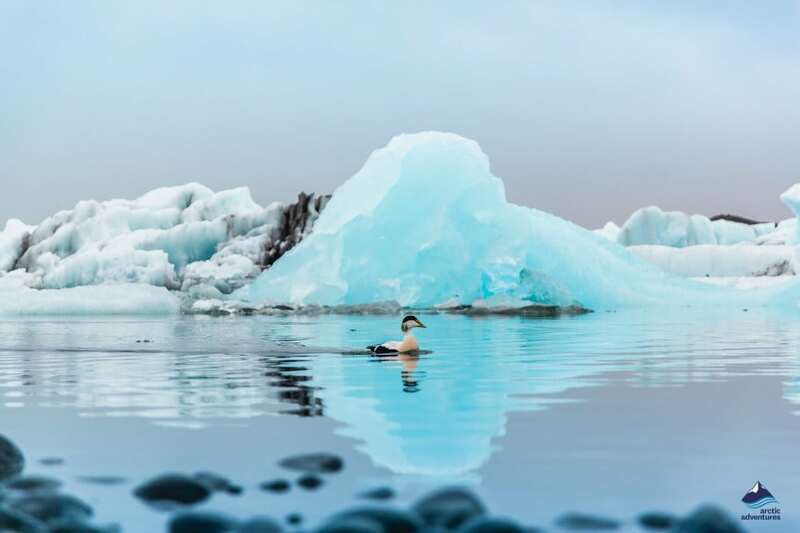 From May until September, you have the option of a boat ride in the lagoon to get even closer to the icebergs (the boat ride is not included). Next up Skaftafell nature reserve. Skaftafell is located just under Vatnajökull glacier, which is the biggest glacier in Iceland. In Skaftafell we will enjoy a nice meal in this magnificent glacial setting. 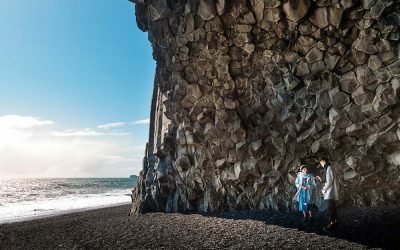 Since summer in Iceland means non-stop daylight we still have time on the way back to stop at the wonderful Reynisfjara black sand beach. 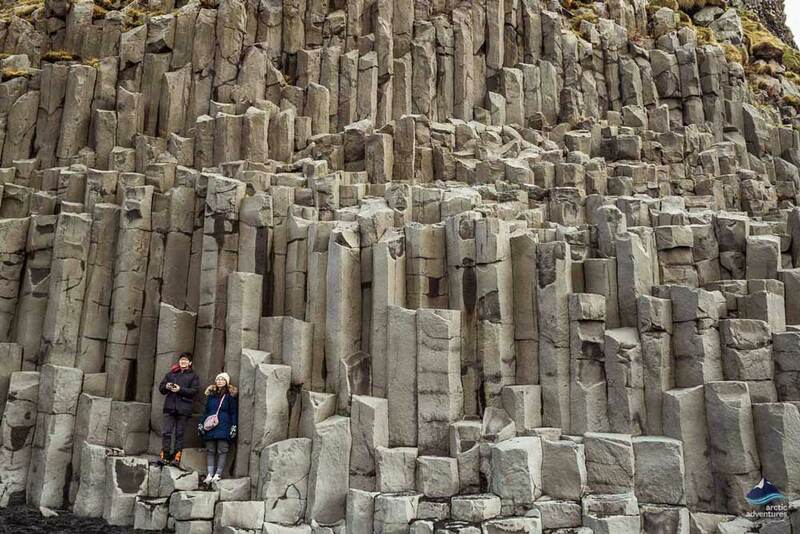 With its volcanic sand and basalt columns it’s slowly getting to be one of the most popular sights along the South Coast but since we will be there pretty late we are hoping to have it to ourselves. After a stroll on the Reynisfjara beach, we head back to Reykjavik. You should be home before midnight. Pick-up: Pick up starts at 8:00 am. You will be picked up from your selected pick up location in Reykjavík. Please note, that the pick up can take up to 30 min. Remember to bring: Warm outdoor clothing, waterproof jacket & pants, headwear, and gloves. Good hiking shoes are recommended. This is a long tour so bringing some snacks with you is also a good idea. Don’t worry, you can always rent sturdy hiking boots, waterproof jacket, and pants in the booking process. We do not rent gear from location. The boat ride on the glacier lagoon is only available from May-Sept (summer).) If you plan on booking it as an optional extra, it is important to do so beforehand to secure your seat as there is no guarantee there will be availability on site. This is a long day tour. It takes about 5 hours to drive to the glacier lagoon area. Therefore this tour duration is about 15-16 hours, including all the stops along the way. 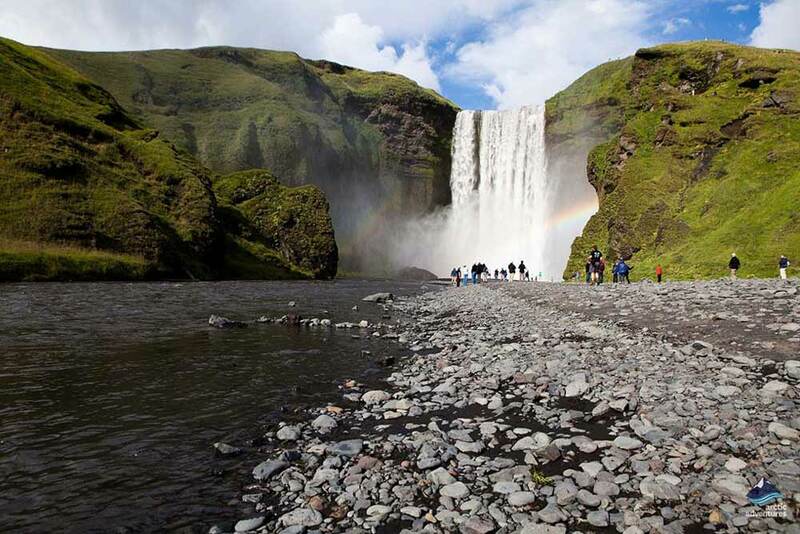 That from October 16th - May 14th we will skip the following activities because of the short daylight: Skógafoss, Skaftafell and Reynisfjara. 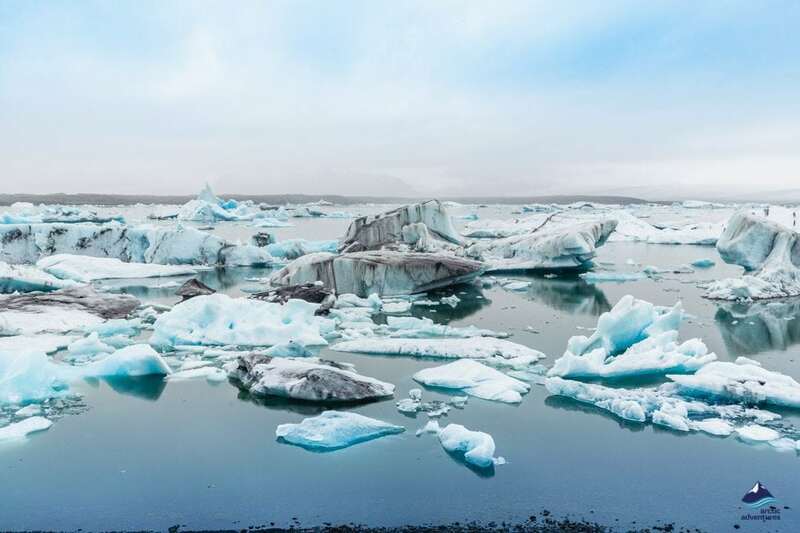 Where is Jökulsarlon Glacier Lagoon located? Jökulsarlon is situated in the South East of Iceland on the edge of a glacier called Breiðamerkurjökull. 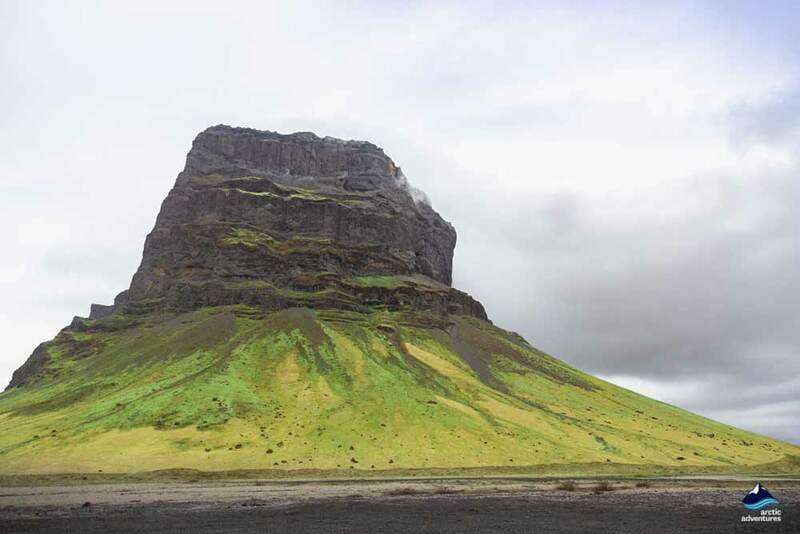 It is about a 4.5-hour drive from Reykjavik. 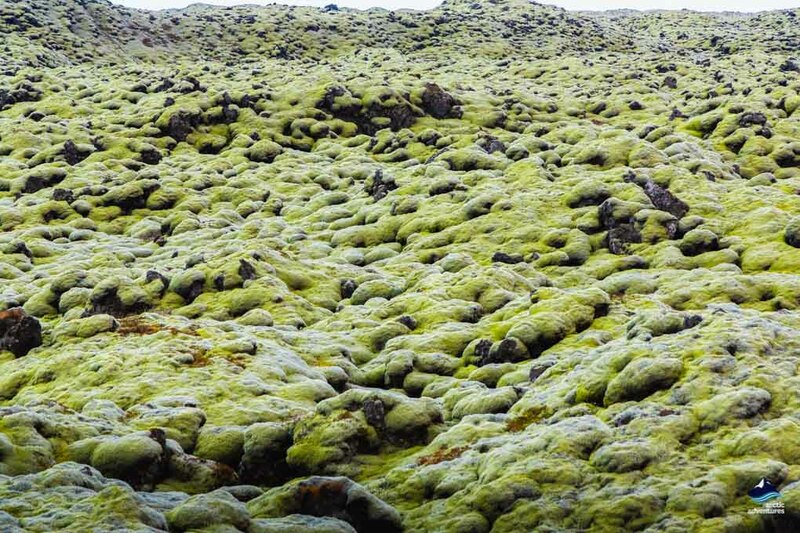 What is Diamond Beach Iceland? 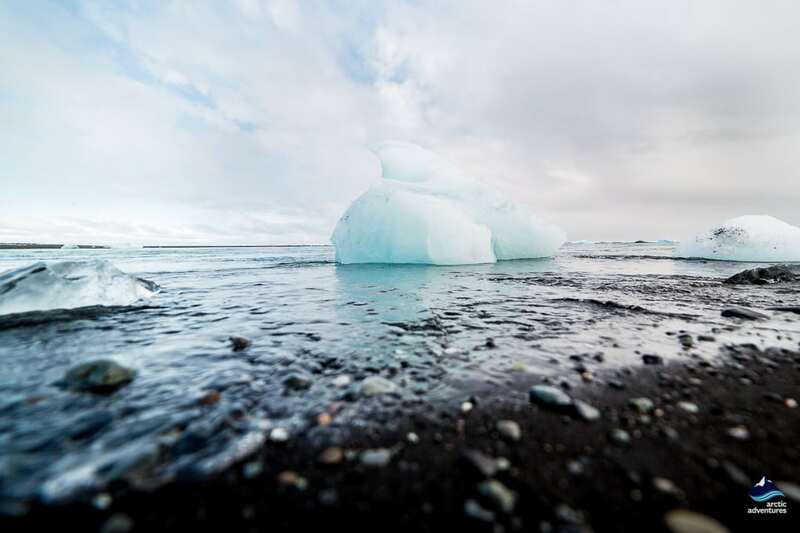 The Diamond Beach is a black sand beach next to Jokulsarlon glacier lagoon. 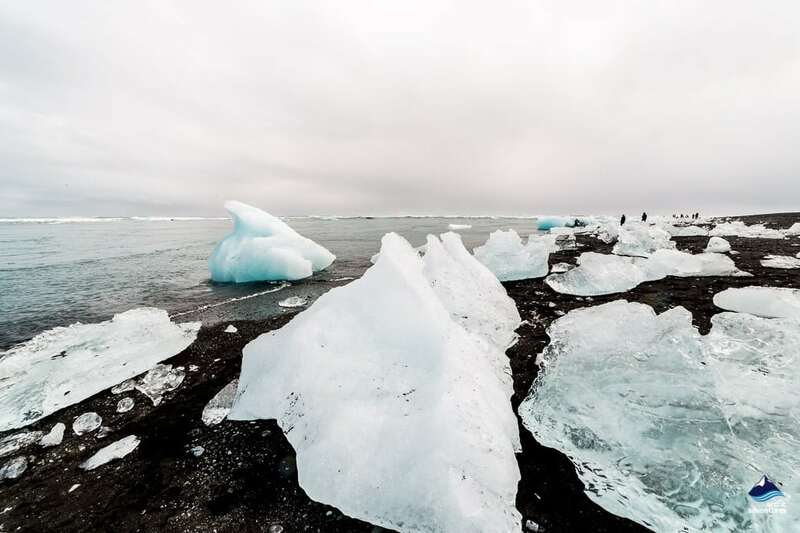 It is a beach where icebergs have drifted onto the shore creating the illusion of huge diamonds. Where is the Diamond Beach in Iceland? 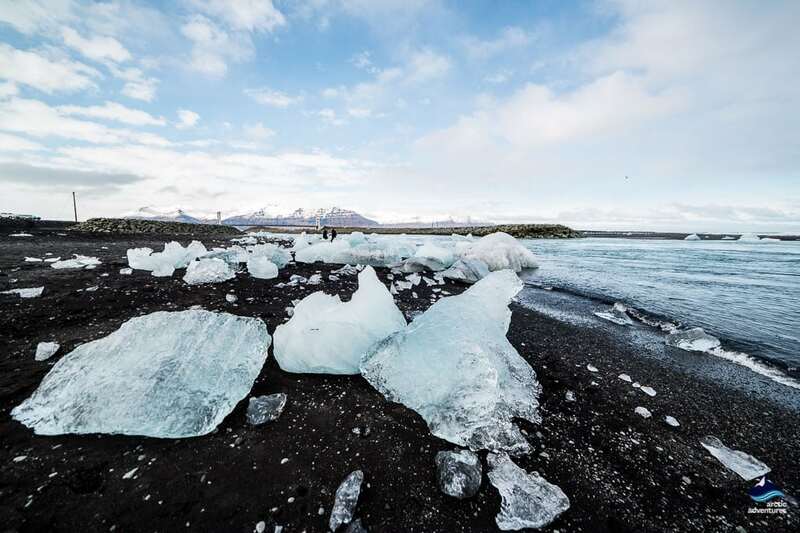 Just outside of Vatnajokull national park you will find the Diamond Beach it is about 5 hours outside of Reykjavik. 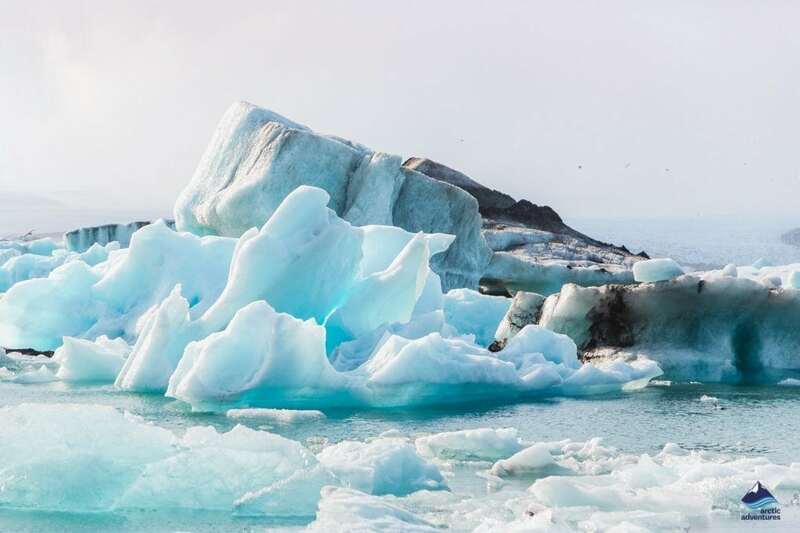 Are there icebergs in Iceland? There are a few glacier lakes in Iceland but Jökulsarlon is the largest. Here the icebergs are made up of glacial ice that can be up to 1000 years old. We spent three days in your beautiful country. Your tour was the highlight of my day. The tour was 15 hrs and we were expecting 10 hrs. That is a long time for a couple approaching 80 yrs. It was definitely worth it to see that much of your country. Just talked to friends who are going for two weeks in August. It is very expensive. Where ever we will went, English wasn't a problem. Hi... I have to say that Arnar was great! He told us such interesting facts! He was personable. I was sad that he didnt do our return trip from Glacier Lagoon. The next guide barely spoke to us the entire way back. We stopped at a few stops but we didnt really learn anything at any of them with the second guide. He really was pretty mediocre and disappointing. This tour took us to some of the most amazing places on the South Coast. We hadn't booked the boat tour in advance, but we really appreciate that our guide helped us do this on site. Even though we had seen pictures of the lagoon and the diamond beach in advance, they were even more incredible to see live. We were lucky to see a seal resting on an icebrg in the lagoon. 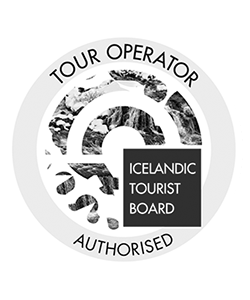 Both guides we had on the trip were very nice and told us a lot of us interesting things about Iceland while travelling. Although it is a long trip, there are enough stops and we didn't feel that tired at the end of the day. What an amazing experience! From the moment we were picked up at the hotel to the moment we were dropped off back in Reykjavík, the tour guides made our experience an unforgettable one. Odei (I hope I’m spelling it right) was very professional and showed us little hidden places that we were not expecting to see. He was great! On our way back, we had Arnar (Eagle) and he was very funny and animated. He told us a lot of stories about the Vikings and what is like to grow up in Iceland. He introduced us to Islandic music, food and culture and really united the group. By the end of the tour, we were all a big family and were laughing and eating together. This was my second time in Iceland and it left me wanting more. I truly believe that this tour was so successful because of the amazing guides we had. 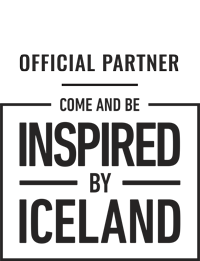 Thank you Artic Adventures, Arnar and Odei for a truly amazing experience. I hope to see you soon for the 6 day tour. Keep up the good work! This was by far my favorite tour! Long day on the bus but worth it. Diamond beach was beautiful and the glacier lagoon even better. The day we went, it was too windy for the boat tour so we missed out on that. Black sand beach was impressive. Highly recommended tour! This was a great tour! We packed loads on one day but it was an amazing experience! Fantastic trip - so many stops to view beautiful sites that the long drive didn't feel bad at all. Great tour guides with local knowledgeable and fun stories. Plenty of time to enjoy the stops. Thanks for an unforgettable day! Wonderful sights. Great tour guides. The tour was great, and very good tour guides. Just sit back and relax while you get driven along the south coast, and enjoy the sights. We had a wonderful day on this tour. The waterfalls, glacier and beaches were absolutely incredible. The guide talked a lot throughout the long drive providing interesting information about the history of Iceland and different sights. It is a very long day (we left at 8am and returned at 1.30am) so we recommend keeping this in mind when making plans for the following day. The tour could have stopped for a shorter period at a few places on the drive back when it became clear that we would be quite late arriving back and the weather wasn't overly pleasant but it was still a very great experience.